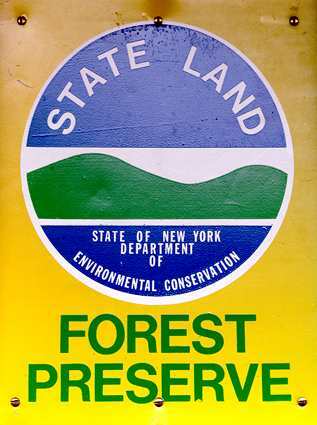 The newly constructed 2.5-mile trail to the western end of the Jay Mountain Ridge is complete and available for public use, New York State Department of Environmental Conservation (DEC) Regional Director Robert Stegemann announced today. The trail bypasses the steep and eroded sections of an existing “herd path” that had been the primary access to mountain’s summit. 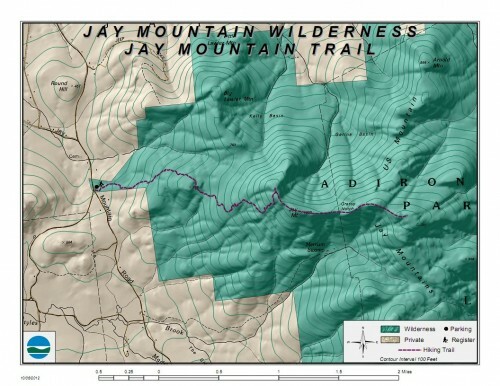 The Jay Mountain Trail starts at a new trailhead at the intersection of Jay Mountain Road and Upland Meadows Road in the town of Jay. The new trailhead is located on Forest Preserve lands approximately 300 feet downhill from where the old herd path entered the woods and offers parking for up to five cars. At the end of the new trail, a short spur trail to the north leads to an overlook that provides a spectacular 360 degree scenic view. The High Peaks, Whiteface Mountain, Ausable River Valley, Lake Champlain and the Green Mountains of Vermont can all be seen. There are some rough sections of trail that DEC will be working to improve in the future. Hikers can continue along the ridgeline, following rock cairns, for approximately 1.5 miles to the summit of Jay Mountain. 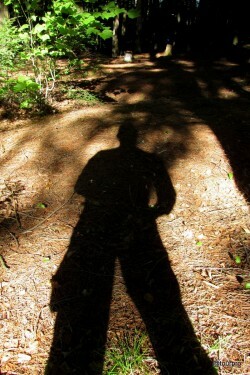 The ridgeline is largely open and provides numerous opportunities to enjoy the surrounding scenery. 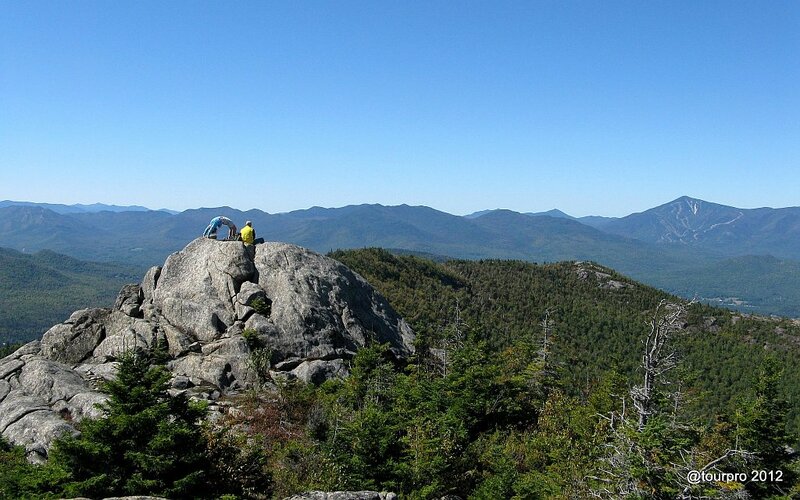 DEC contracted with the Student Conservation Association’s Adirondack Program and the Adirondack Mountain Club’s (ADK) Professional Trail Crew to build the trail with DEC staff. The trail work was funded by the Environmental Protection Fund and a generous donation from ADK’s Hurricane Mountain Chapter. The new trailhead was constructed by the Town of Jay Highway Department, with additional work by inmate crews from the Department of Correctional Services Moriah Shock Camp and DEC staff. 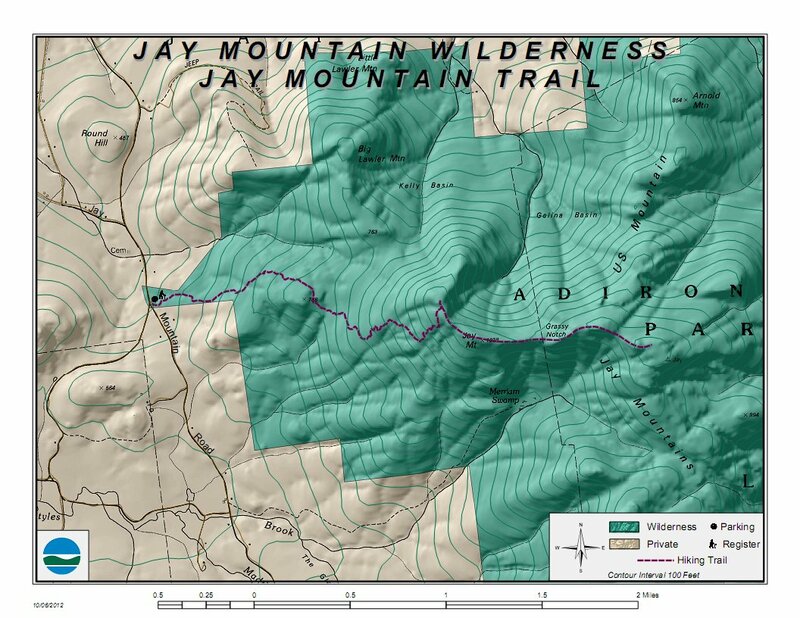 Food, gas and lodging for those hiking Jay Mountain can be found in the nearby communities of Jay, Elizabethtown, Keene and Keene Valley.